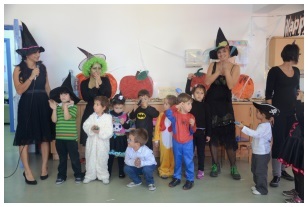 The Students had a lot of fun with activities throughout the day, with various costumes and jokes. The activities which were arranged separately for the students of Kindergarten, Pre-school, Primary, Secondary and High School, enabled the students to show their abilities with the decoration and various games which they had prepared. See more pictures in the following slideshow.